Happy Wednesday to you! So, today I find myself stuck on the couch. Yet again. I injured my lower back, again, doing something… Unfortunately I don’t even know what I did to aggravate it this time! I have been struggling with back issues (spasamed muscles) since this last November, and when it hurts like this all I can do is take it easy & relax. On top of that, the kiddo is sick AGAIN. I swear this school year has been awful for illnesses to our family. So far this week we have missed church and school, and we can’t really do anything productive other than sit on the couch with the iPad, lots of juice & Popsicles (check out my super simple DIY Strawberry Lemonade popsicles), my heating pad and lots of cartoons & rest to let our bodies heal. I thought to myself, today would be a GREAT day to finally write on my blog! 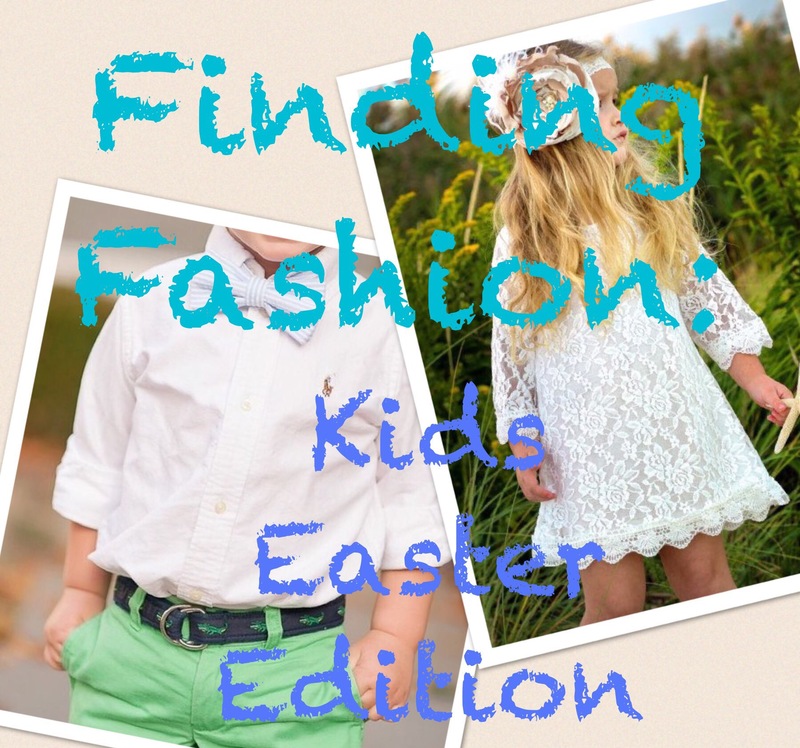 This will be my first post this year, and I thought it fitting to start with a Finding Fashion: Kids Easter Edition since we are officially in Spring, and I’m sure we all will be looking for some cute new Easter outfits for the kiddos very soon! I decided to find 2 different Easter outfits- one for a boy and one for a girl. Both outfits are priced right around $50 each. What a great price for an outfit that can be worn for multiple events through this spring and summer seasons! 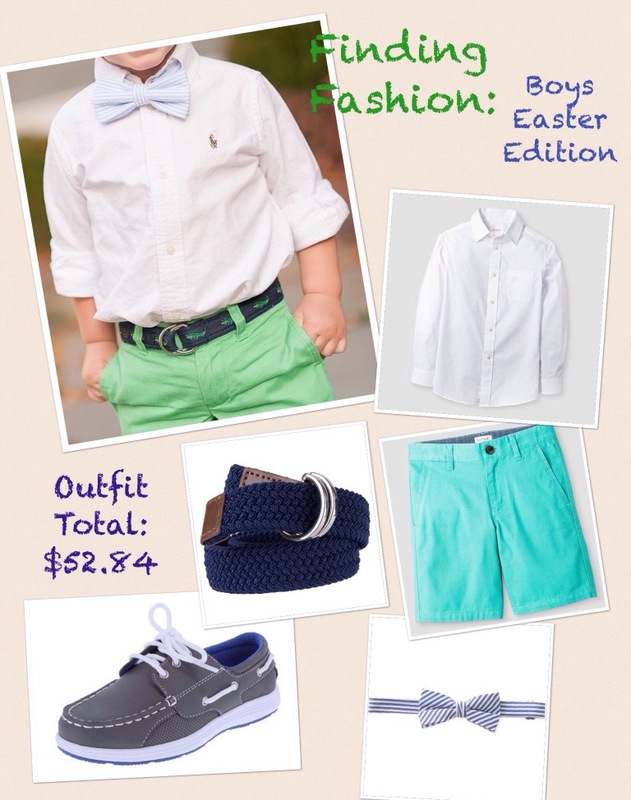 I picked this outfit because it is a simple and classic outfit that can be worn for many occasions this spring & summer either dressed up, or casual (without the bow tie), and would look great on boys of all ages! 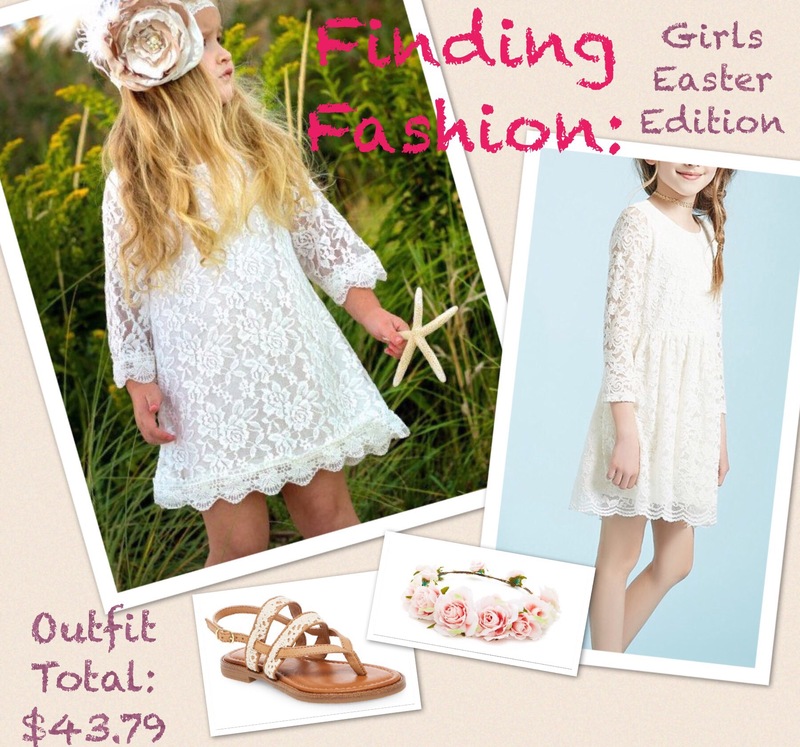 I picked this adorable lace beachy/boho inspired outfit for the girls because it is super versatile and can be worn for lots of dress up or casual events in the warmer weather. Plus, I’m sure any girl would love to have this in her closet! I hope this inspired you to find an adorable Easter outfit(s) for your kiddo(s)! Maybe you’ll even find a cute Easter ensemble for yourself while you are at it!